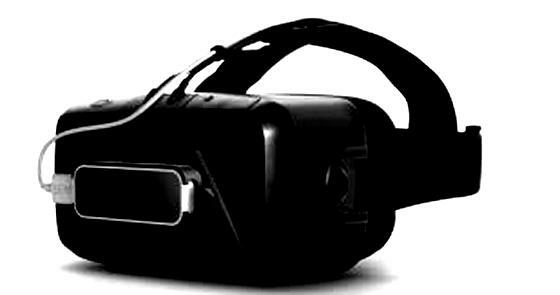 Rate this Article The dawning of Virtual Reality gaming has begun and though it is in a sense quite new, the developments in control technology is continually resulting in new devices that provide the Man- Machine interface required to enhance user experience in VR. 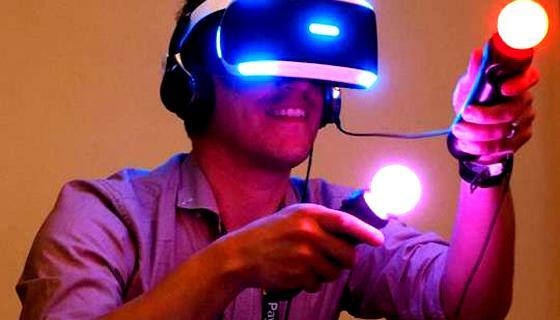 With that, let us examine a few of the major add-on devices used in VR gaming. Our discussion will be divided into 4 parts. The first part which is the topic of this article will focus on Motion and Gun controllers. These are the most common control devices which may be considered as add-ons to the standard game pad controller, since both the keyboard or a mouse may not be the most practical method of control when you've got something like a brick stuck to your face and cutting you off from the outside world. The best and most practical VR controllers at this current time would be devices that one can hold, press and move around. The HTC Vive came with standard controllers which made interacting within Virtual Reality as natural as can be. 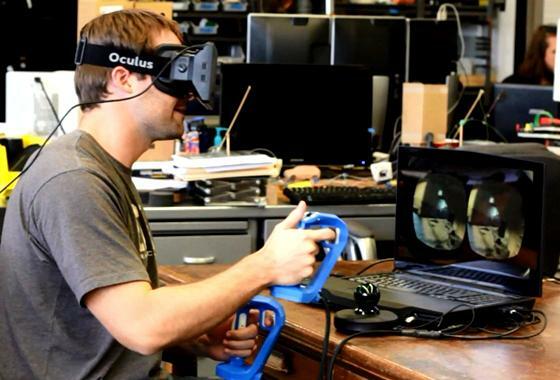 These controllers came with the HMD and unlike the Oculus Touch controllers for the Rift, the Vive controllers can be seen as standard to the set. 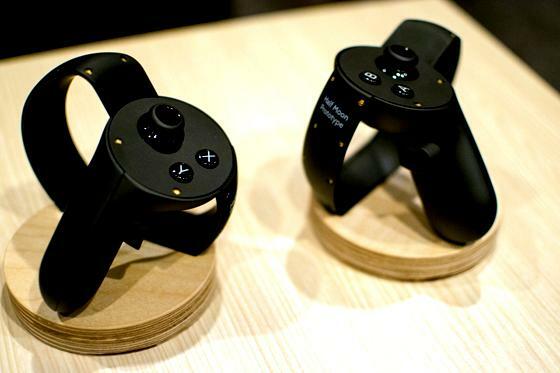 The Oculus Touch however, is more of an add-on to the standard gamepad which was initially used for the Oculus. The oculus Touch was designed to fit into a persons hands in a neat way. These controllers use infrared LED tracking and the movements you make with them are translated as accurately inside the game. Touch controllers come in pairs and each has it's set of buttons and triggers easily located for quick finger control. Valve on the other hand will be coming out with an add-on controller considered as a redesign of their current Vive Steam controllers. This is known as the Valve Knuckle Controllers. This is the kind of controller that you grasp with your hand the way you grasp a pistol or handgun. The way they look kind of reminds me of those Covenant Laser handguns Master Chief has to settle for whenever he runs out of bullets for his standard issued rifle. Note however that Knuckles are more of general motion controllers though they may look like a gun controllers. The PlayStation Move controllers are add-ons to the PSVR. They function similarly to the Vive Steam controllers and would have looked kind of similar too hadn't they looked more like flashlights with colored bulbs at the top. Perfect when you want to play a security guard in VR. The 3D Rudder is what's known as a foot motion controller. It plugs to your PC so it will work with both the Oculus and Vive. 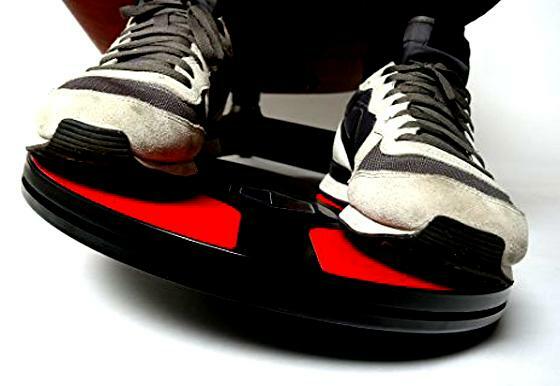 Use this device if you want to control your motion with your feet. Control your moves by pushing your toes or heels to go forward or back, tilting your foot right or left to move sideways, apply pressures with heels or toes to go down or up and rotate your foot to turn around. This device would really be great for those who want to use both hands and feet, can't use or have no hands and those exhibitionist who love to exclaim ... Look Ma, no hands! The Leap Motion Controller developed by Leap Motion, Inc. is an interface device that you can attach or stick to the front of your HMD and acts as a sensor that tracks your hand motions and implement it into the VR world. 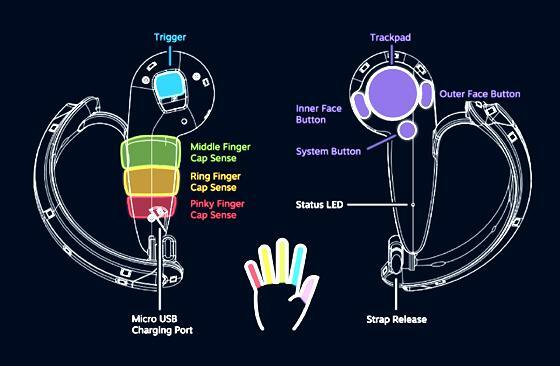 It tracks not only your hands but your fingers as well. The leap motion works for both PC, Console and Mobile based VR. You will just have to download the device driver/interface software and set it up with your PC-HMD or smartphone. One thing about using mobile VR is you won't have the variety of options for motion controllers compared to high-end VR. Even the most high-end of mobile VR, the Google Daydream uses a standard controller that comes with the platform and there seems to be no better alternatives yet. If your still use the old trusted Cardboard method to play VR, best bet you've got for motion control would be a BlueTooth controller. It essentially works like the daydream controller and is compatible with a wide range of phones for both Android and IOS. This also works well as a Gear VR controller alternative so you don't have to keep on fiddling with the controls on the headset. 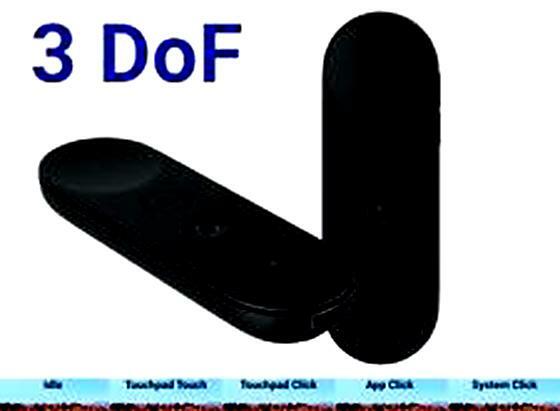 A good example of this would be the 3DoF Bluetooth Motion Controller. For those who love to play shooting games or FPS in VR, nothing beats a good gun controller. These are usually designed to focus on aiming and trigger action and give a good balanced feel as if actually holding a weapon in your hand. Of special mention is the Reactive Grip. 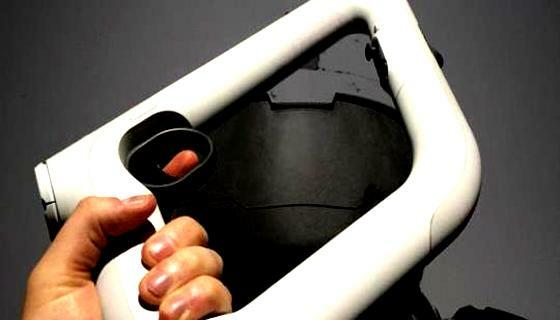 The device can function as a general controller but is best used in handling weapons inside the game. The controller, aside from the usual motion and button controls exerts weight and pressure on your hand. You can actually feel pressure from swinging a sword as it hacks into an opponent or object to the recoil from firing a pistol or rifle. This is a great add-on to both Oculus and Vive. The PlayStation Aim controller is a gun controller for the PSVR. It gives the user a feeling of actually holding a gun instead of a flashlight. 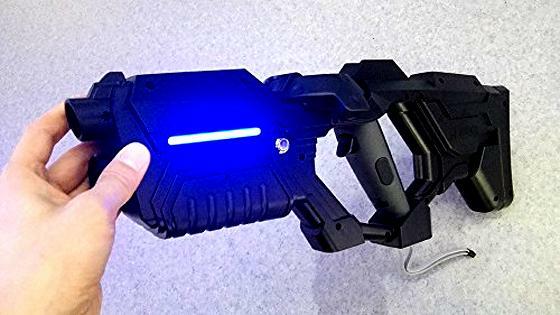 The PSVR is an awesome way to play FPS and shooter games and this controller bakes the cake, especially when you have to play a security guard who discovers an armed intruder and has to pull out his sidearm. Better than aiming with a flashlight. The MAG P90 VR Gun is designed to work with the Vive Steam Controller. For those who love playing CounterStrike and other FPS shooters, the FN P90 is one of the favorite weapons in the arsenal used by players. The gun controller however looks like a mutated crossbreed of the actual sub-machine gun, but is awesome to use. Just insert the HTC Vive controller into the specified slot and your set to pawn your opponent in VR with the feel of having a real P90 in your hands. The Delta Six Gaming Controller is the most realistic awesome killer look and feel gun controller for both PC, Console and VR. It works for both Oculus and PSVR and it looks so real that if you happen to bring it out with you and walk the streets you would probably be mistaken for a terrorist or Chuck Norris. This is a weapon controller that you have to actually reload the cartridge while playing. It's also multi-role from sniper rifle to assault to sub-machine gun to probably the rifle used by Master Chief. As of now, this controller is sold out but let's hope the developer manufactures some more. As VR moves forward, more advanced motion controllers are bound to be developed for commercial distribution. Some would be awesome and realistic and a number would probably move towards the absurd. Regardless, nobody knows what the developers will think of next so we will just have to wait and see.